Home is COMPLETE. Pictures are of similar home and floorplan. 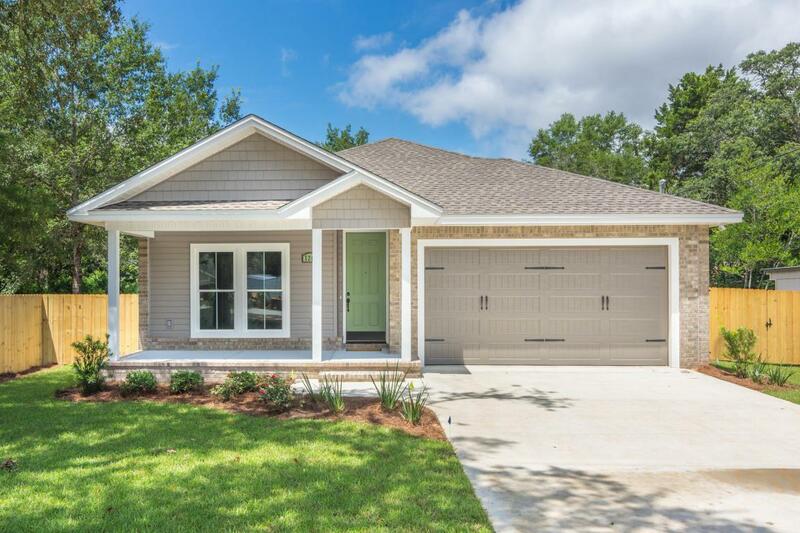 New Construction in central Niceville being built by one of the areas premier builders. Quality finishes abound in this open floorplan with large fenced back yard on nearly .25 acres. Kitchen cabinets feature soft close drawers and a spacious walk in pantry. The kitchen is open to the dining area and living area and has access to the covered back porch. Huge side yard with double gate for boat or trailer parking. Call today for your private viewing.